"New Zealand mourns with you. We are one,” she said in a short speech, followed by two minutes of silence. 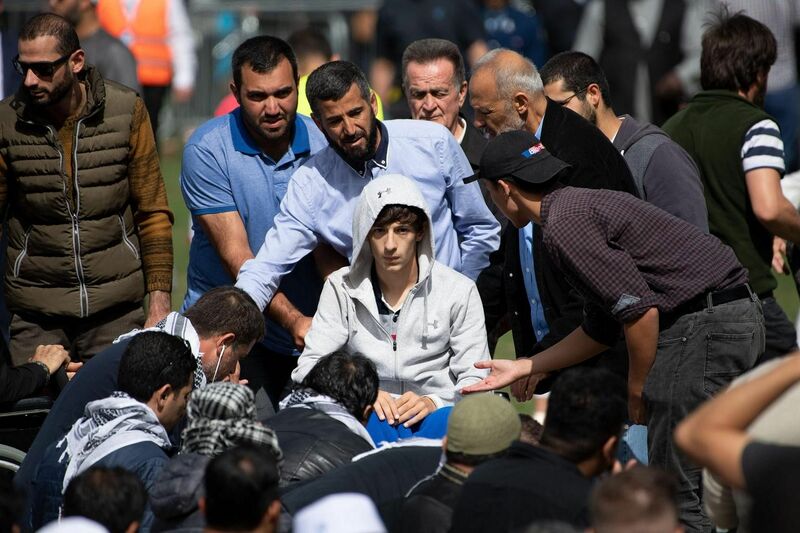 Tens of thousands of people paid their respects around the country, with some forming human chains in front of mosques. Others said silent prayers at schools, cafes and even offices. The first to be laid to rest was Mr Naeem Rashid, who was killed trying to tackle the gunman at the Al Noor mosque and hailed as a hero. Tarrant is due back in court on April 5, when police said he is likely to face more charges. Ms Ardern, who swiftly denounced the shooting as terrorism, announced a ban on military-style semi-automatic and assault rifles on Thursday. 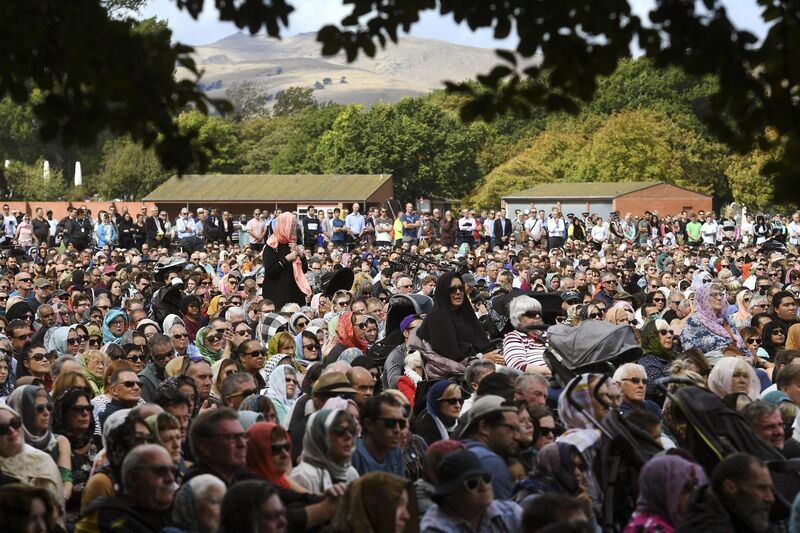 In a powerful speech that lasted about 20 minutes, Imam Fouda said that through its love and compassion, New Zealand was unbreakable. Imam Fouda also denounced Islamophobia, saying it had killed people. 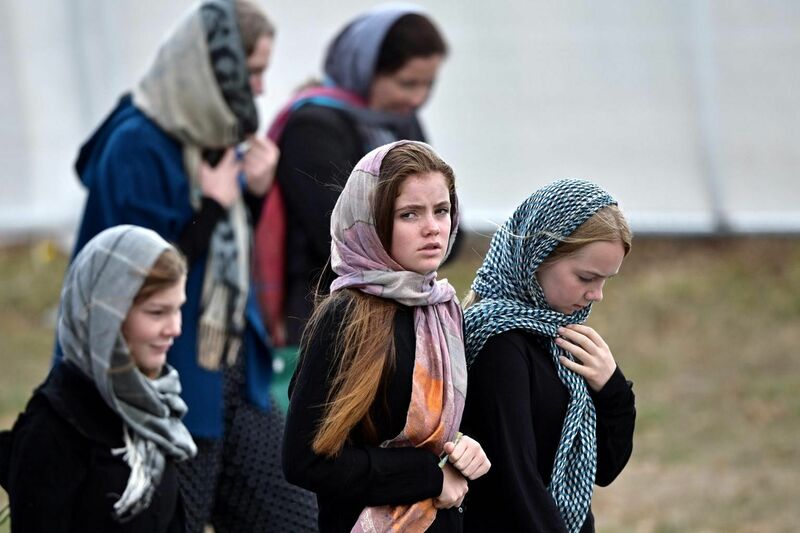 “We are wearing headscarves showing our support, love and solidarity, and hope that by everybody doing this it will demonstrate to Muslim women... that they are one with us,” said Madam Robyn Molony, 65, with a group of friends wearing headscarves at Hagley Park. “Since the earthquakes, we’ve gone through a lot as a city and we’re a lot more caring and looking out for one another,” said Mr James Sheehan, 62.